WASHINGTON, D.C. – The Afterschool Alliance last week recognized State Senator Rick Kolowski for his exemplary support for afterschool programs and the youth who participate in them. 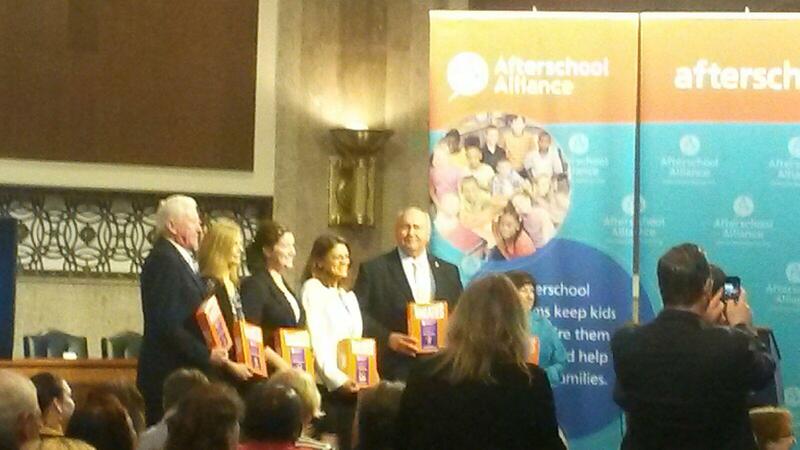 Sen. Kolowski was named a State Afterschool Champion at the “Breakfast of Champions,” a gala event in Washington, D.C. featuring Members of Congress and national afterschool champions. In the Nebraska State Senate, Sen. Kolowski has drafted and supported legislation to ensure children have extended learning opportunities. He was one of 11 state champions honored at the Breakfast for helping to support and expand innovative approaches to expanding learning that close opportunity gaps, build student skills and create pathways for lifelong learning. Beyond School Bells nominated him for the honor. Before being elected to the Senate, Kolowski was the founding principal of Millard West High School, which had one of the state’s highest rates of student participation in extracurricular activities. After retiring, Sen. Kolowski was elected to and named chair of the Learning Community of Douglas and Sarpy Counties. One of the group’s first activities was to fund an expansion of high quality afterschool and summer programs. Since his election in 2012, Sen. Kolowski has authored legislation resulting in two separate Education Committee hearings on extended learning opportunities. The “Breakfast of Champions” is part of the 13th annual Afterschool for All Challenge, sponsored by the Afterschool Alliance. The event brings together hundreds of educators, parents, afterschool leaders and advocates from around the country for a series of events and meetings with Members of Congress. Following the Breakfast, participants met with their senators and representatives on Capitol Hill to talk to about how important afterschool programs are to children, families and communities. This year, the Alliance is also encouraging advocates for afterschool to participate in the Challenge at home by calling Congressional district offices to urge their representatives in Congress to co-sponsor the Afterschool for America’s Children Act. The 2014 Afterschool for All Challenge is generously sponsored by The NAMM Foundation, National Afterschool Association and National Geographic Channel. The Afterschool Alliance is a nonprofit public awareness and advocacy organization working to ensure that all children and youth have access to quality afterschool programs. More information is available at http://www.afterschoolalliance.org.